Growing your portfolio by adding new clients is critical to success in business development. But, business development is lead generation and lead generation is time-consuming, right? Centers of Influence (COIs)? 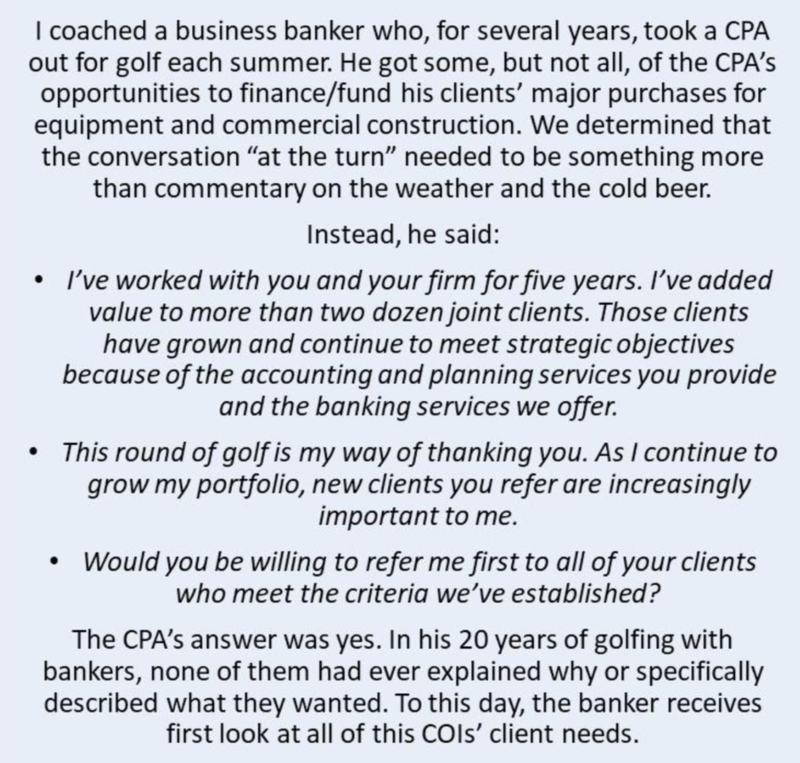 I know what you are thinking, “I take business associates out for golf routinely – they understand our relationship and that I want referrals.” No, they don’t. Simply playing a round of golf with an influencer in your community or in your industry doesn’t equate to getting referrals from them. Do you ask? 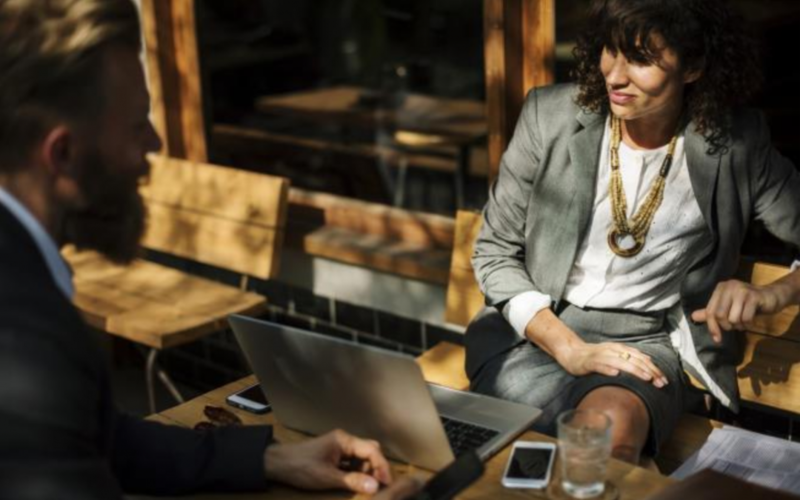 The Roper Organization has conducted studies on influential people for decades.Their research suggests that winning the confidence of just oneCOI can create six loyal customers. If you want to improve your hit ratio and work smarter, not harder, take a closer look at this under-utilized strategy for business development. Don’t make your COI guess about your value or create their own story. Articulate your value for them, and keep it simple. Take the time to tell your story in a compelling way that differentiates you from others who offer similar services. Centers of Influence tend to be active volunteers and activists in their own professional development.They are skilled at networking and will advocate for a trusted business associate. You can seek them out through professional organizations, business associations or networking groups. Join now and get active. Approaching COIs should be about more than a round of golf, of course. But, when it is golf, be sure you present your ‘Ask’ in a clear and concise way. Be direct. Be specific. Finally, the most important part of maintaining consistently valuable COI relationships is follow-up and feedback. Recognize the effort of your COIs who give you a lead or make an introduction with a handwritten note or card. Learn about their business and how you can reciprocate referrals. Request feedback from clients and prospects, when applicable.